Have you ever had an "Awakening" experience and felt directed to something you are supposed to do? Did you recognize there was a mission you were called to that only YOU could do? Jenn McMurdo, is a Spiritual Life Coach who helps people realize their truth and assists them to take action to live an authentic life. Jenn shares her story of working through depression, sexual abuse, and negative emotions in her life. 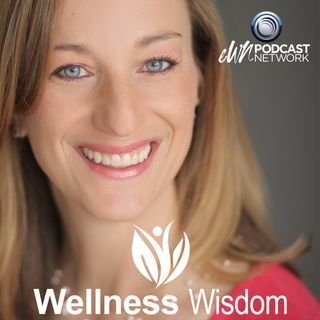 Jenn talks about "whole being wellness" and that all ... See More human beings desire connection and love. Jenn has a passion for helping families connect wholeheartedly to each other. She talks about her experience moving with her children to Kenya and seeing strengths come out in them as they served and learned from the people there. Jenn shares the transformational of her family changing as they connected with each other and with those they were serving. Jenn explains how touch is a "basic human need" and that it is as important to us as food, water, and shelter. She talks about using her intuition to know what type of touch each of her children need. What is the touch they will accept and be open to? Jenn talks about teaching children appropriate and loving touch. She says that touch can be healing and helps move our energy and connect us to each other. Jenn knows the importance of human affection for healing our relationships, even our relationship to ourselves. Jen explains how to give yourself healing touch and the importance of self-love. She gives parents tips on working with teens and children who may be averse to touch. Jenn shares how to keep yourself open to opportunities to build lasting connections with your kids through positive touch.